Kenya is a country quite ahead of it’s peers, and developing at a fast pace. The traffic jams in Nairobi are a progress of our fast development that has outplaced planning. The past two statements are blatant lies, as i came to find out in the beginning of May. Nokia was launching a revamped version of the Asha operating system that runs it’s low end phones (Those costing under KSh. 15,000). The phone was being launched in India, which is the same country where the “Asha” name comes from. The launch therefore saw me and a number of other journalists scheduled for a trip to the country of 1.2 billion. For your perspective, the 54 or so countries of Africa have a combined population of 1.06 billion. For starters, one needs a visa to travel to India. This shouldn’t worry you though. All you need to do is fill in an application form online, print it out, and submit it to the Indian embassy together with 2 passport sized photos. Visa processing takes only 2 days for journalists and 3 or 4 days for business people. The embassy, is located along Harambee Avenue, near the junction with Moi Avenue and opposite Kenya Power’s offices. It will cost you just under KSh. 8,000 for a visa, which you have to pay at Bank of India after submitting your application. One surprising thing we found is that the Indian embassy is open on Labour Day, just like other working days. Even more surprising is that labour days is a holiday in India. On applying for the passport, you will find that the Indians are particularly keen if you have travelled to Pakistan, or if you are a descendant of a Pakistani. See, after independence from the British, the Hindus and Muslims found that they couldn’t get along together. This saw India splitting itself from Pakistan on one side and Bangladesh on the other. To date, India and Pakistan have maintained their fare share of quarrels, with extremists from both countries attacking the other. So you can understand why the special focus on your history with Pakistan. The cab ride to the airport was quite pricey though, given that from where I can live, I can tell you what plane is landing. That might also explain why the cabbie was at ease giving a KSh. 300 bribe to one of the policemen manning the entrances. I mean, who drives you to the airport with expired insurance? Luckily for me, I had not arrived at the airport three hours before the flight- three hours is a long time seeing that you only board the plane an hour to your flight. 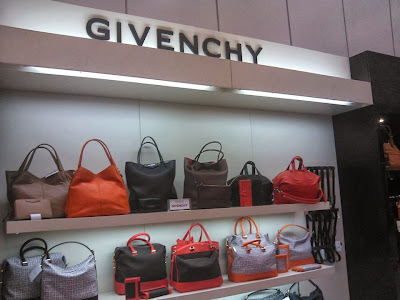 JKIA is also a small airport, and there’s little you can do here in the few duty free shops. They are however cheap when it comes to alcohol - a bottle of Johnnie Walker Red will go for about KSh. 1,100 for the litre, which retails at about KSh. 2,000 in supermarkets. Our flight out of Nairobi was at 1pm, probably to compensate for what would be a 4 am arrival in Delhi and a 4 am departure on our way back. The flight was Qatar Airways, on a plane that had seen its fair share of flights, but was still handling it well. Check in at Jomo Kenyatta International Airport was quite a breeze, especially since we had checked in online. We were connecting to Delhi via Doha, in Qatar. Qatar Airways are probably as good as they say they are. The seats are spacious, and the meals are awesome, usually a piece of chicken and rice for the non-vegetarians, alongside some salad and juice. For those of you who take their flights seriously, you can opt for their wine (they had a Chardonnay for the Economy class, which i didn’t like), or their whiskey (red label) or beer (Heineken). In Economy class, you wonder why one would pay more for business or first class, probably for the added comfort to lay your seat flat. 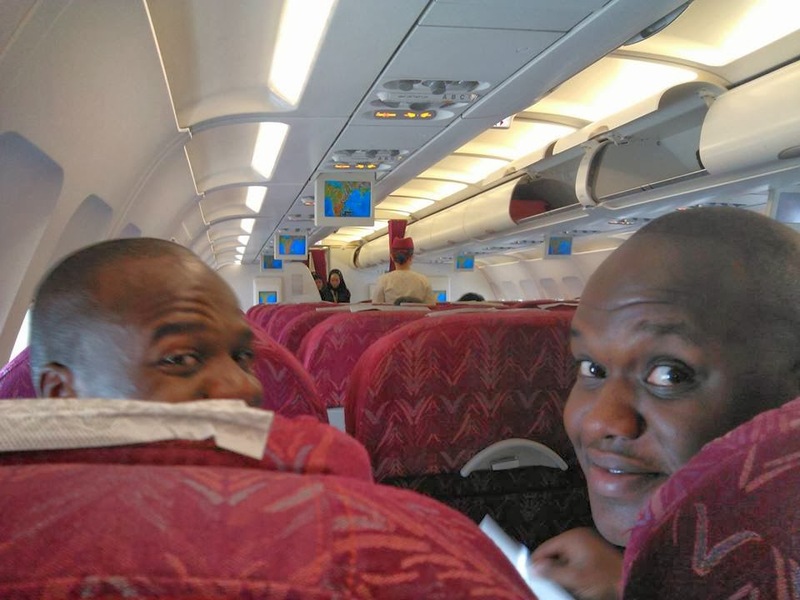 The whole Nairobi - Doha flight though appeared to be mostly made up of Economy class seats, which would mean that it basically is a connecting flight for African countries where economy class seats are preferred. For most of the five hour flight, I was engrossed in Khaleed Hossein’s tear-jerking “A Thousand Splendid Suns”, and the whiskey. 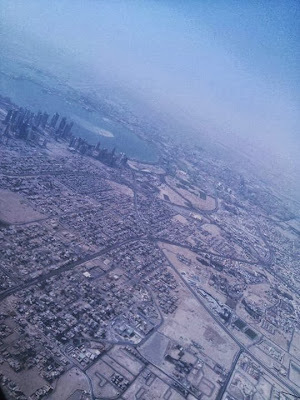 I only lifted my eyes when we approached Doha. An advantage of booking online is that you can reserve a window seat. Now, if Nairobi is marvelous to you, Doha will blow you off your seat. Approaching from the seaside, we were welcomed by a well organised sea port, with containers. Next was a harbour, which one can easily mistake for a yacht showroom. There were dozens upon dozens of yachts, in various shapes and sizes. It was around 6:30 pm (Qatar is on the same time zone with Kenya), and from our privileged height, we could marvel with envy at a number of jet ski users in the sea below. Of course, being desert country, the skies were clear for the numerous jet skiers, and the sea calm. 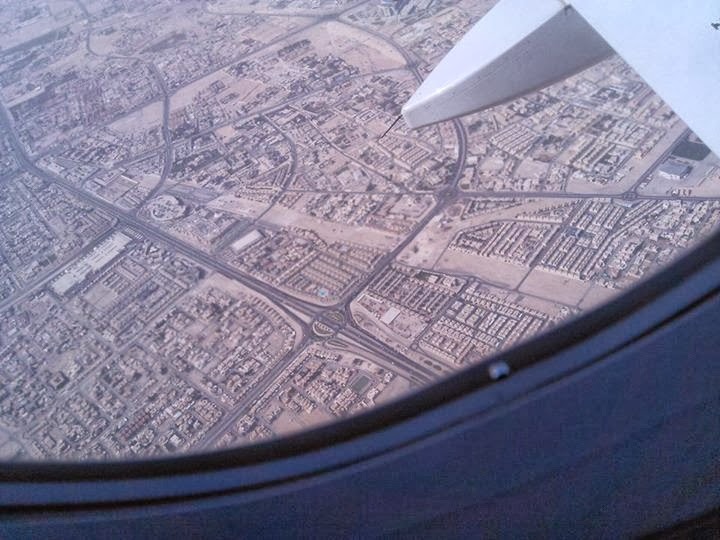 Next in sight were the skyscrapers of Doha. Doha is about a sixth the size of Nairobi, and has about the same characteristics as our lovely home city of Nairobi. This is mostly in the form of a small central business district, but which you might find has its fair share of taller and marvellous looking buildings. We can’t beat oil money, can we? Doha International Airport is in a league of its own. First, we landed, and as we were taxiing , I spotted another plane landing. I thought that was too close, but it wasn’t. We landed in what I came to learn is the old airport. The arrival lounges are quite a distance. Wide buses are provided to ferry you from the plane to the lounges. In the old airport, there are two lounges, for those catching connecting flights and for those whose final destination is Doha. We were issued with yellow passes, for those who are connecting . Those whose final destination is Doha have blue passes, while those whose connecting flight is short have yellow passes with an orange border. Executive lounge connecting passengers are offered with purple passes. What will shock you is that the old airport has a dual carriage way inside it for servicing planes! The highway was quite busy both on our way to and from Delhi. It carries buses ferrying passengers to the lounges and trucks carrying supplies and cargo to and from the planes. The lounges themselves are about, say, five minutes away, by bus. The connection lounge is quite huge (for those of us who have not been to Dubai). Our terminal was number 19, in the two floor building. There’s some sort of supermarket, about the size of a the Nakumatt Hypers, where one can buy alcohols, designer perfumes, silk scarfs at upwards of KSh. 30,000 :-), phones (no Huawei or Tecno or ZTE) and laptops. The prices were quite reasonable at the duty free mall, and the quality a far cry from our Nairobi crap. I got lost in the earphone section where they had Sennheiser, JBL and HarmanKadon, House of Marley, amongst others. The mall, however, doesn’t sell sugar and milk. There’s also a cafe, which we did not venture in. Of course, I should have mentioned first, that this is the only airport in our trip that offered free WiFi. 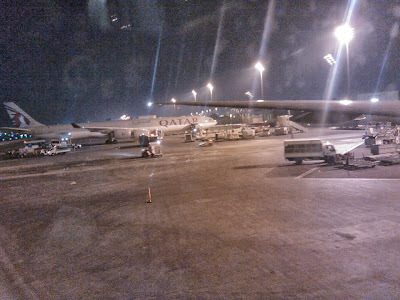 Let me repeat that, Doha International Airport was the only airport in our trip to offer Internet connectivity, for free! At about quarter past 7 PM, just as the dark was setting in, someone decided to put up a show for us. From the windows of our lounge, we watched three F16 jets take off, right before us (thanks @mwirigi for pointing out that only our dated F5s and the newer F16s have a single engine and exhaust). The things are loud and use rocket technology, and are fast. We could clearly see the flames shooting out of the exhaust and the change in angle as the jets took off. BTW, DIA was an old US army base, and might still serve as one, though not sure. I think our 6:30 pm landing was an early landing. The empty lounge filled up quickly in the next hour. After spending one and a half hours in the lounge, our flight to Delhi was ready to board, this time, a wide bodied plane (with centre seats in addition to the two window sides). Again. thanks to online check in, it was a window seat. This time round, take off was in the night. You will however notice one startling difference about Doha. You can map the whole city from the sky. All the streetlights work, and from the yellow of streetlights, and the dimmer lights of homes, you can map the roads, roundabouts and all junctions. You can map the whole of Doha at night. The flight was uneventful, other than for some turbulence here and there. think of turbulence as potholes in the sky, where the plane, shakes, or does some sort of harlem shake. Scientists forecast that there will be much more turbulence in the future, up to double what we have today. Recently, it caused a plane to drop to the point food, coffee and anything without a seat belt hit the ceiling. Part II will be coming in a few days. for a notification when published like this page on Facebook or Google+ on the right, or enter your email address in the "Follow by Email" form. A Kenyan in Istanbul: Show Me The Lira!